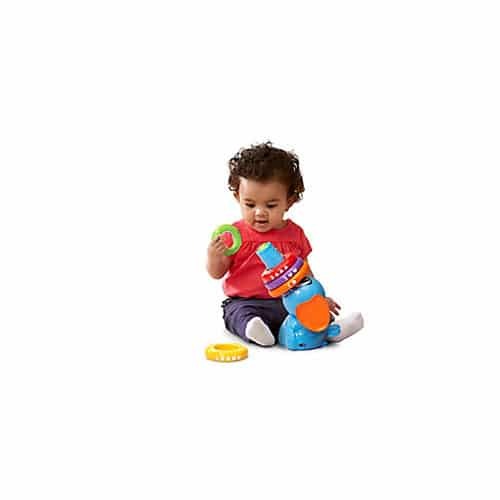 Stacking is tons of fun with the Stack & Tumble Elephant. 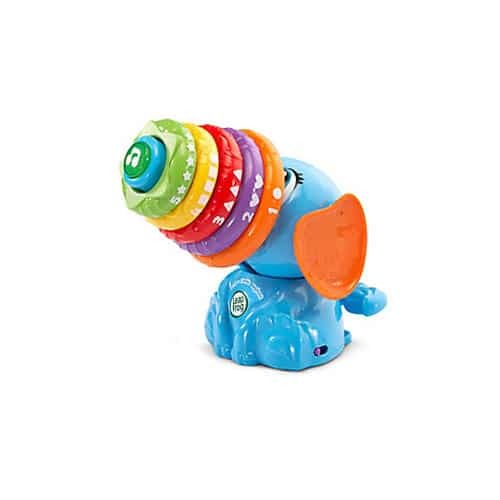 Stack the five brightly coloured, textured rings on the elephant's trunk. 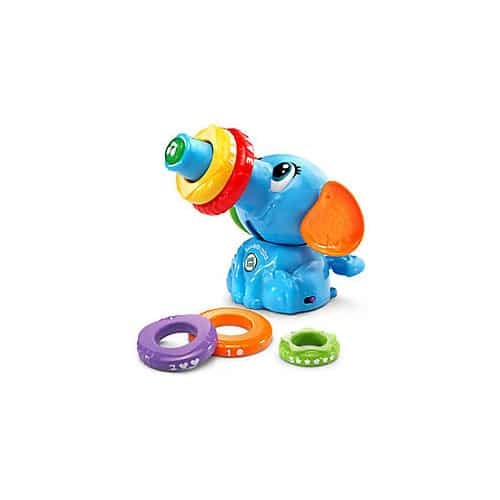 As each ring is placed on the trunk, he will play silly sounds, say adorable phrases and introduce colours, numbers and shapes. 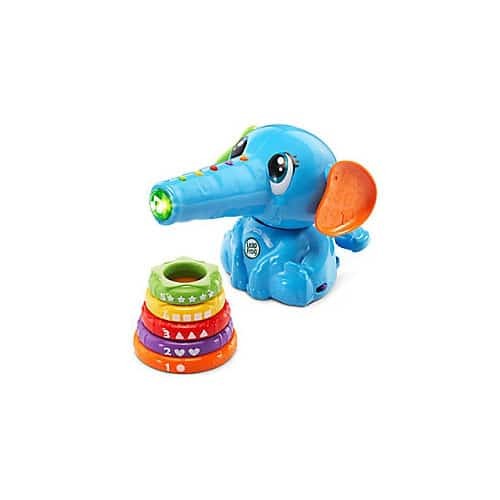 Press the music note button on the elephant's trunk to hear playful songs. When you press his tail, the elephant will count, talk, sneeze and send the rings tumbling off his trunk.